Skin is the largest organ of the body, with a total area of about 20 square feet. It is one of the most amazing organs in the human body. Skin is made up of very specific cells and tissues, and their collective purpose is to act as the boundary between “you” and “the world”. Protects against heat and light, injury, and infection. Skin regulates body temperature and stores water, fat, and vitamin D. we should be aware regarding skin disease and do some natural skin care regularly. 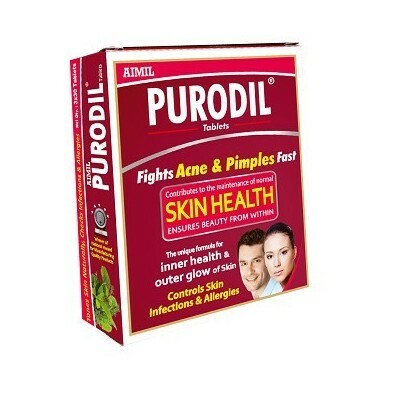 Purodil manufacture by Aimil Pharmaceuticals a unique polyherbal dual therapy acting systemically (externally) as well as locally (internally) fight various skin affections like (piples,acne). Purodil gel is best skin care product enriched with a novel phytoconstituent α- mangostin from Garcinia mangostana providing an effective therapy for skin infections specially acnes & pimples. Purodil dual therapy exerts potential anti-bacterial action against P.acnes & S.epidermis, kills even resistant strains. It also exerts significant anti-inflammatory & free radical scavenging activity. 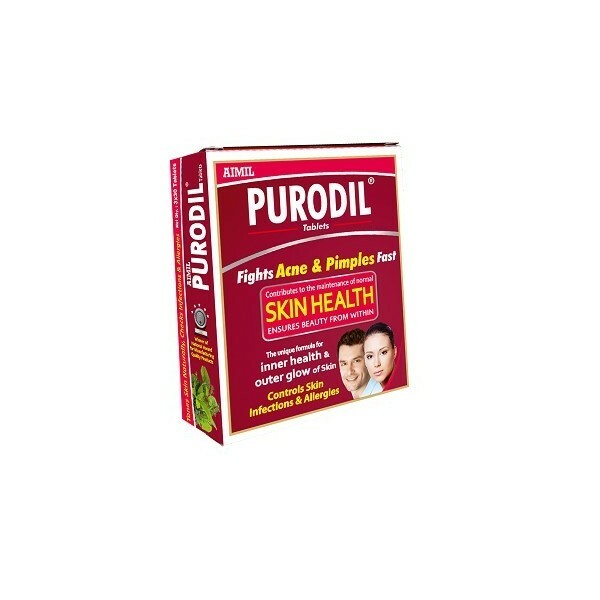 Purodil is ayurvedic treatment for skin provide natural skin care, which has no side effect. Purodil decreases sebum production locally. With unique benefits of dual therapy it constantly treats all stages of acne, repairs acne damaged skin, helps to heal breakouts by detoxifying the impurities. 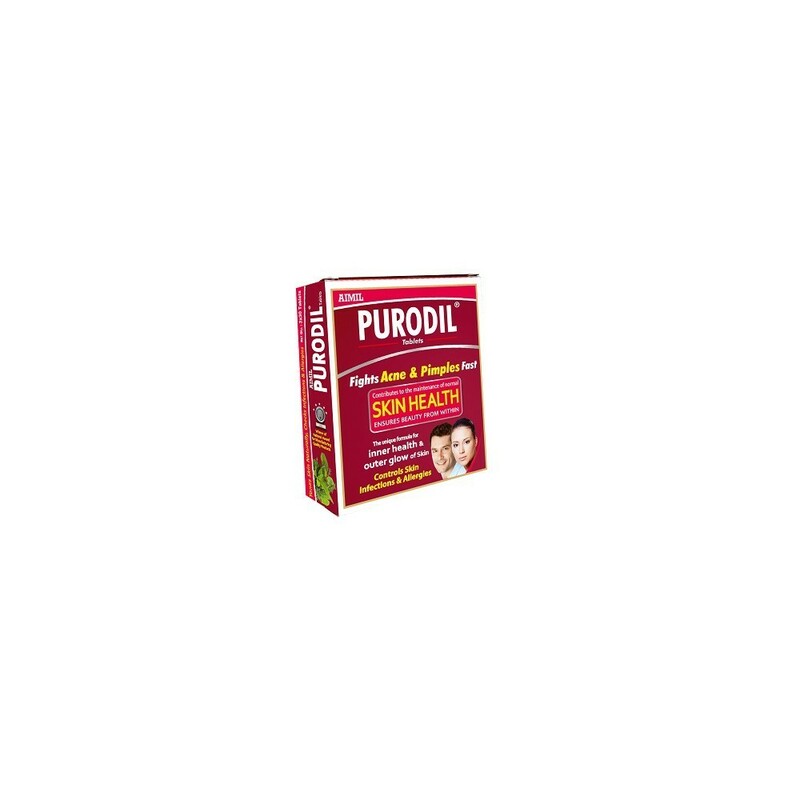 Purodil is herbal ayurvedic medicine for skin has combination of vital herbs, which on one hand act as anti-infective to eradicate the causative organism of acne and on the other hand helps to improve blood supply to the skin by toning microvasculature, which is natural treatment of skin provide us a healthy and glowing skin. Science ancient time’s plants have been exemplary source of medicine. Ayurveda and other Indian literature mention use of plants in the treatment of various human ailments. Researches conducted on herbs mentioned in the ancient text or used traditionally for Gynaecological ailments have shown remarkable results makes best skin care product (Purodil). Herbal extracts in Amycordial are enriched sources of several, micronutrients, bioflavonoid, glucosides, tannins, phytoconstituents, all herbs are used for pimples treatment with ayurvedic science. NEEM (Azadirachta indica): Every part of the tree finds varied uses, hence is called as the ‘Village Pharmacy’. It is one of the most important detoxicants in Ayurvedic medicine and is used widely for its antiseptic properties. YASHTIMADHU (Glycyrrhiza glabra): Glycyrrhiza glabra shows remarkable anti-bacterial activity against Propionibacterium acnes, resulting in negligible induction of resistance. GUDUCHI (Tinospora cordifolia):GUDUCHI plant is used as a medicine to improve the immune system and body’s resistance against infections. It has a significant action as an immunomodulator. MANJITHA (Rubia cordifolia)- This was first described in Chinese medicine in the Shen Nong Canon of Herbs, during the Han dynasty. It has a long history of use in Ayurvedic medicine. It is a bitter-sweet, cooling herb that reduces inflammation and has anti- bacterial effects. HARIDRA (Curcuma longa) - Studies demonstrates that curcuma longa pretreatment has a conducive effect on the irradiated wound and is a substantial therapeutic strategy in initiating and supporting the cascade of tissue repair processes in irradiated wounds. SARIVA (Hemidesmus indicus): is a well-known drug in Ayurveda system of medicine. The extract of H. indicus root barks, has anti-oxidant properties. CHOPCHINI (Smilax china):- Chopchini works as Blood cleanser, immunomodulator (selectively reduces overactive immune cells). KALMEGH (Andrographis paniculata):-Kalmegh is a blood purifier. It is used as a cure for torpid liver and jaundice. It is a major constituent of the Ayurvedic preparation for skin disease. All herbs are use for making best skin care product for our skin disease. Its natural skin care remedies without any side effects.